This weekend (28-30th October) sees the ESL UK Premiership in CS:GO, League of Legends and Overwatch finals take place. They’re being held at MCM ComicCon London at the ExCel London by the Docklands. Over the weekend we will be at the ExCel collecting interviews from ESL Management, commentators and teams. With £6,000 up for grabs, CS:GO will be the first ESL UK Premiership title to have its conclusion. A month after the group stage started, we’ve seen the original eight ‘teams’ whittled down to just two. I use quotes, because the only recognisable team which started the tournament folded quickly, forfeiting all their games. The rest are mix teams. This meant FM eSports ended their run before it began. The opening game also saw fish123 fail to attend, meaning no games were played on the original match days. Time to get your pen and paper ready. The sides which benefited from these forfeits were (at the time) Reason Gaming.uk and VexstaR. Those results sent the two into a winners final, of which Reason Gaming.uk, which then became HEINZ, took over VexstaR 3-0 (22-18, 16-14, 16-6). VexstaR then went into a losers final against fish123, where VexstaR overcame their opponents 2-0 (16-11, 16-7) to send them to the final. In the time between these finals and MCM Comicon, HEINZ were picked up by MnM Gaming as their CS:GO representative. Not to be outdone and lose out on a mix team, Reason Gaming then signed up their opponents to be their roster. During this time, it turned out that MnM would have to swap out two of their players. This meant that former EnVyUS and FaZe star Fabien “kioShiMa” Fiey joined the roster alongside Aaron “AaroN” Hemmings. In terms of favourites, you can’t look past MnM to take the tournament in dominant fashion. Unless the famous leadership of Sam “Rattlesnk” Gawn can return to help Reason, it’s impossible to see anyone but MnM to take the £5,000 first prize. But if the rumours are true and the game will be a Best of Seven, it’ll be down to whichever is the better mix side to overcome fatigue and who know a few tactics to get through the maps – as well as those with the highest skill. The tournament will be kicking off over on the ESL UK CS:GO twitch channel at 10:30am (BST). League of Legends is the second ESL UK Premiership tournament to take place, this time with £5,000 available for the teams. The victors of the tournament take the lion’s share of the prize at £2,500 as well as a spot for the League of Legends Challenger Series. The online league was split into two groups. Group A saw Last Remedy and TCA eSports escape fairly simply, with Last Remedy not dropping a single game, and TCA only losing to Last Remedy. In Group B it was a similar picture for MnM Gaming, who are the remains of last season’s runners up Manalight. Only dropping a game to exceL, they saw themselves straight to the finals. exceL had a slightly more difficult route, but only losing to MnM meant they also qualified to the ESL UK Premiership finals at MCM ComicCon. In terms of roster moves, the most notable was Last Remedy merging with Epiphany Bolt post-groups. This sees the team now represent a new organisation for the finals. For the team who will take it, with MnM being the strongest team in the current UK Masters league who are taking part, they have form on their side. But exceL are just beneath them – it’ll be a direct shoot-out between them for the top spot, £2,500 and that Challenger Series spot. The tournament will kick off on the ESL LoL twitch channel at 9:30am (BST). Overwatch will be the ESL UK Premiership tournament to end the weekend. With £5,000 up for grabs these two teams will be battling for the higher prize amount. MnM Gaming started off in Group A as “aMEIzing Team”, a side who originally were given little chance of qualifying to the group stage. They then battled through their group in the Lower Bracket, after losing to The Last Resort. After that they beat the team they lost to before, and after a close 3-2 game against EndPoint they qualified to the finals. Team Project had a much more simple route to the final. After winning their first two games without dropping a map, they took a simple win in their last to qualify to the final, winning 3-1. 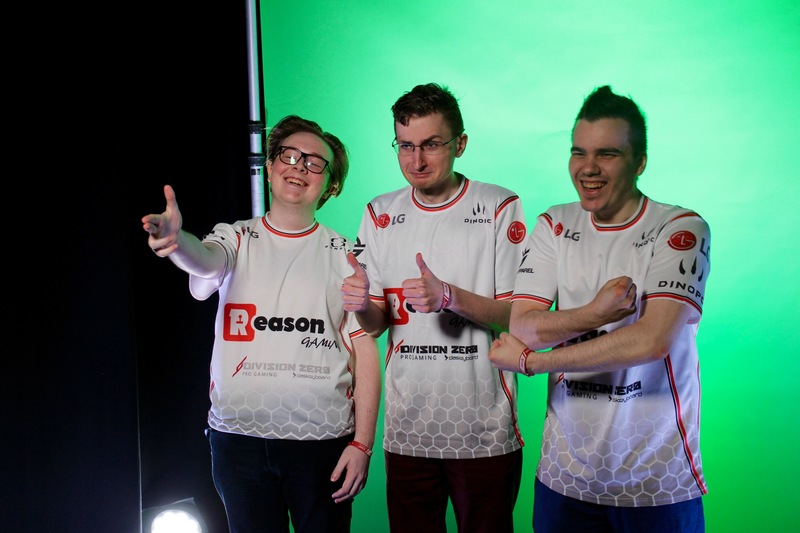 After they secured the final game, they used the connection of two of their players, Piotr “Sev” Hutya and Tamás “tomzeY” Bordás to receive sponsorship to the event from their org, Reason Gaming. These are both strong sides, albeit one a mix. 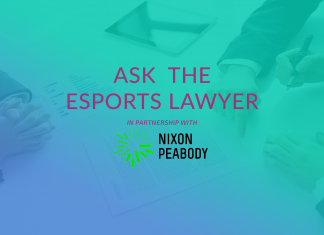 Reason do have the advantage of having players who are currently competing at a higher level of Overwatch to bring their skill in the game, but with MnM’s players being a team and practising more regularly they should have the upper hand against Reason on the tactics game. It will all come down to the Sunday to see which team will take £3,500 home with them. The tournament will be kicking off on the ESL Overwatch twitch channel at 11:00am (BST). As well as the main ESL UK Premiership tournaments taking place over the weekend, that’s not all on offer at MCM. On Sunday, there will be a charity show-match between a select ESL team and a team of Twitch streamers. They will be competing for their chosen charities; Sarcoma UK and Macmillan Cancer Support. Over on the Red Bull stage, the conclusion to the Southern part of the Red Bull 5G tournament will take place. Red Bull 5G is a ‘North vs South’ tournament in five games, Street Fighter V, League Of Legends, Project Cars, Rocket League and Hearthstone. The regional finals will take place on the Sunday, with last-minute open wildcard qualifiers taking place on the Friday and Saturday for those willing to attempt to be in with a shout for the main final. The full announcement can be found over on ESL’s website. Esports Insider says: Here comes the end to ESL UK’s Summer Season (albeit in Autumn). With CS:GO kicking off proceedings, it’ll be one exciting end to an exciting season. MnM will be aiming to take the clean sweep this weekend, with Reason Gaming trying to stop them on the first and final days, what story will prevail from the weekend?